OZ is an worldwide known company and famous for Design â€“ based in Italy. 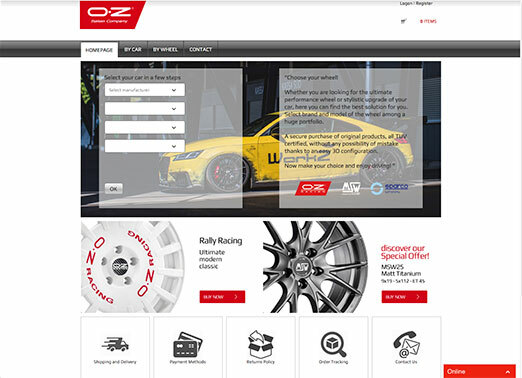 In cooperation with OZ we developed a new web shop and wheel configuration system. ATU is the leading company in Germany with over 500 Shops and POS. We created a database for wheel fitment for own products and many different wheel suppliers. 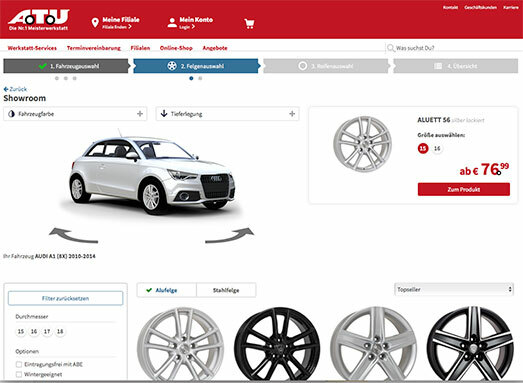 Fully Integration of the EPR and Warehouse System for an automatic process management to produce wheels Sets (Wheel, Tyre, TPMD). Including mounting Information and visual presentation.